After two years of virtually no dialogue between the Israeli state and the Palestine National Authority, members of the Israeli and Palestinian delegations are finally meeting in Washington DC to discuss Palestinian statehood, largely due to the efforts of US Secretary of State John Kerry. So why has there been such a long period of limited contact between the two authorities? The answer is surprisingly simple. Palestine had previously requested pre-conditions on coming to the negotiating table. The most notable of which was demanding for an immediate halt to Israeli settlement construction in the West Bank, an action for which the international community has condemned Israel almost universally. It’s arguable that Israel has refused to do for two particular reasons. Firstly Israel has not wanted to appear to be overly compromising before the negotiations even began and secondly, the Netanyahu government has been accused of having little interest in solving the question of Palestinian statehood. Despite this, it now appears that Palestine has dropped the pre-conditions in favour of jump-starting negotiations. 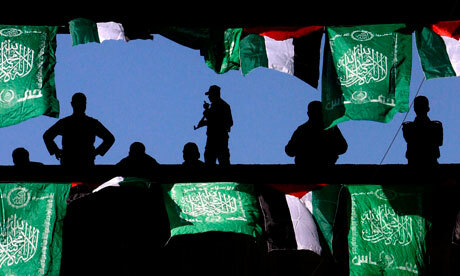 Israel has also agreed to release a number of Palestinian prisoners as a means of restarting negotiations. General public opinion within Israel and the IDF also seem to favour a political settlement rather than the hard-line stance of the governing Likud party, whose political influence has eroded considerably since the elections at the beginning of this year. Whilst the fact that the two entities have finally agreed to restart negotiations is undoubtedly a positive step towards peace, many issues that have plagued previous negotiations remain and several new matters of dispute have emerged in the last 24 months. The terms of the negotiations have been kept secret, so we can only speculate over what is to be discussed and the compromises to be made. But it is more than likely the following will be on the agenda. Jerusalem remains at the core of the dispute. Both sides claim Jerusalem as the capital of their nation. More realistically though, the Palestinian Abbas government desires control of East Jerusalem, a holy site of Islam and the cultural capital of Palestine. East Jerusalem is also part of the Palestinian mandate outline in the UN Partition of Palestine, so much of the international community favour the Palestinian argument under UN law. Even the USA, Israel’s strongest ally, does not recognise the annexation of East Jerusalem, which was seized in the 1967 War, commonly known as the Six-Day War, whereby Israel seized much of Palestinian mandated land which at the time was under Jordanian administration. Israel however, maintains that Jerusalem must remain undivided and function as the capital of Israel, not Palestine. Israel maintains that the entire city is a part of their cultural heritage, predating the Palestinian mandate and was integrated as part of Islamic holy land long after the Israelites had settled. Israel’s very modern concern however, is as to how East Jerusalem would be administered under Palestinian rule. East Jerusalem had previously hosted many historic Judaic sites, however many were desecrated whilst the city was under Jordanian administration. Israel currently tolerates the freedom of religion inside its lands; Jerusalem is a city where, for the most part, Jewish, Christian and Islamic citizens can practice their faith free from harassment. It is concerned that Palestine will not show the same display towards practising Jews or Christians inside East Jerusalem should they take power. Extremist groups and fundamental organisations such as Hamas and Hezbollah, have done very little to allay these fears. Nevertheless, Israel has shown slightly more willingness to compromise in recent years, offering minor annexations of outlying districts. Jerusalem is arguably the most difficult of all outstanding issues between the two parties and a lasting settlement will be very difficult to reach. Defining borders is also an issue. Most references for a lasting settlement involve the 1948 Partition plan and the pre-1967 Borders of Israel. At its most basic, Israel’s policy is that it will consider withdrawing to pre 1967 borders, excluding current Israeli settlements and East Jerusalem. It does not wish to abandon those settlements and seems intent on claiming them to be part of Israel. Israel is adamant on maintaining the major settlements, citing political pressure within the nation from the hard right Zionist groups. Palestine’s position is very rational on this issue. Palestinian President Mahmoud Abbas has recently stated that he is willing to compromise based on the 1967 borders as a starting point. Palestine has argued that if they are to make concessions on Israeli settlements, then Israel should agree to balanced land swaps with Palestine. Compromise here seems more likely and may prove to be the initial starting point for discussion. Many Palestinians have fled Palestine and Israel since the 1948 Arab Israeli-War, in no small part due to the meddling of Egypt and Syria in the region’s affairs. Many Palestinians fled after supporting the losing side in the many conflicts or were simply unfortunate victims of the conflicts themselves. Israel has tended to view these refugees as war supporters and anti-Israeli, which is not necessarily the case. Israel is very reluctant to allow these refugees to return into Israeli lands due to its fixation on the demographics of Israel. The Netanyahu government is concerned with the social implications of accepting many Palestinians into Israel. Primarily it is concerned with Israel’s status as a majority Jewish state. In the long term, Jewish Israeli citizens may be outnumbered by the returned Palestinian refugees, namely because Palestinians tend to have more children than Israelis. Israel is therefore worried that this will affect the state’s long-term prospects and lead to a reunification of Palestine. There is also an understandable social concern for Israel. Israel is already a fairly dense country that has to support 6 million citizens and has limited resources. It may not be able to cope in the event of the resettling of hundreds of thousands of people inside its borders. Palestinians have therefore often asked for compensation in exchange for Israeli seizure of their lands, a more than reasonable demand that the US favours. Security issues are also a problem for Israel. The state has an unenviable amount of potential threats surrounding its borders. Syria and Egypt are currently extremely unstable and both their populations are adamantly opposed to Israel. Hamas is firmly entrenched in Gaza and its ideology borders on the genocidal. Hezbollah also has a strong base in South Lebanon and Syria and similarly call for the destruction of Israel. Iran continues a hostile rhetoric and actively funds anti-Israeli terrorist cells, whilst potentially constructing a nuclear device. The bloated military spending of the Gulf States has also unnerved IDF’s high command. It’s therefore fair to say that Israel does not desire to see another security threat on its Eastern border. The issue is this however; any Palestinian state that is formed is likely to be extremely fragile and will have a very uneasy truce with Israel. Israel therefore wants to ensure that Palestine cannot emerge as a security threat to Israel. Israel has already experienced a very hostile neighbour in the form of Gaza, who elected a hostile government that calls for the destruction of Israel, shortly after it gained autonomy. There is no desire for a repeat in Palestine. It therefore insists on a new Palestinian state being demilitarized and subject to Israeli military oversight so neither the state nor insurgent groups within Palestine can threaten Israel. Essentially it desires to ensure that Hamas or a similar group cannot subject Palestine to an armed takeover and antagonise Israel. Palestine argues that precisely the opposite will happen if Israel’s demand is heeded. If a new Palestinian state is demilitarized, it will be unable to combat extremist threats independently and faith in the government will deteriorate, making it far more vulnerable to a Hamas takeover than if it was given full security autonomy. Palestine also dislikes the notion of being reliant on the Israeli’s and wishes to enjoy its full rights as any other state would enjoy. Israel’s argument seems rational from previous experience and the extremist groups within Syria, Lebanon and Gaza would no doubt attempt to provoke conflict, but Palestine’s is just as feasible when examining the general relation between state and security. A state that it is unable to provide its own security is prone for failure as Yemen and Lebanon have proved. Israel also demands a condemnation of Hamas by Palestine’s ruling Fatah party, given Hama’s attitudes towards peace. Palestine has refused to do so, claiming that they will not condemn an organisation simply to appease the Israelis. Given all these issues, there are clearly serious obstacles for the current negotiations to climb. Half a century of bad blood will also mean that talks are likely to stall frequently, with no side wanting to appear too compromising in order to appease the more radical sects in both their camps. There are also accusations about both sides’ lack of commitment to finding a peaceful solution, particularly the Israelis who currently hold the upper hand so are not so pressured to compromise. The parties have outlined a nine-month negotiation plan, which at the very least gives plenty of time for short-term compromises to be met. US will undoubtedly play a major role here. The Obama administration likely views the situation has highly damaging to the USA’s moral stance and wishes for a peaceful settlement in order for Israel to moderate its behaviour on the international scene. If they are truly serious about peace, then the Obama administration will exert pressure on the Israeli delegation, given that Israel is extremely reliant on US support. Whilst hopes for these negotiations are not particularly high, there is always the hope that both parties may be able to come to a suitable compromise that brings the Middle East one step closer to peace.